After nearly half a century spent in obscurity, Seasick Steve – with one electrifying performance on Jools Holland’s Hootenanny, New Years Eve 2007 – burst on to the UK scene. Many years and five Jools Holland shows later, plus guest spots on Jonathan Ross, Top Gear, and many more; performances at nearly every major UK festival, including 3 barnstorming main stage Glastonbury appearances, and rocking shows at V Festival, Reading & Leeds, Hard Rock Calling, Latitude Festival, and major European festivals like Rock Werchter and Pukkelpop; plus over one million records sold; all serve to firmly establish Seasick Steve as a real star. All of this without a radio hit or playlist, just a battered 3-string guitar, a one-string Diddley Bo’ (a piece of 2×4 wood with a string nailed to it) and a collection of other cheap and interesting instruments that some would just about call “firewood”, plus the Mississippi Drum Machine (a wooden box with some carpet on top, and a Mississippi license plate on the front). 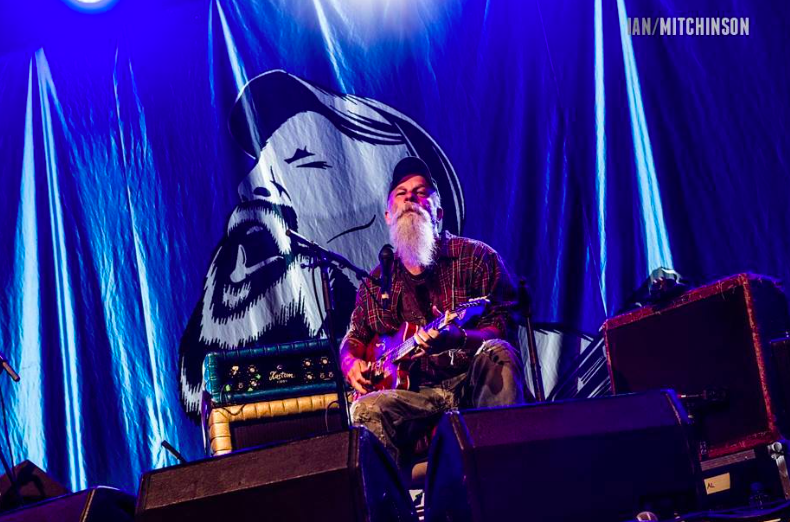 Seasick Steve returns for the first time in four years armed with a batch of fantastic new songs including his brand new single “Summertime Boy” from his seventh studio album, “Sonic Soul Surfer” (Released March 15th 2015), recorded in his front room at the little farm where he lives.